Home > Apologetics Topics > Different Religions > Am I Going to Heaven? I am 14 years old and I live in Oklahoma. I have grown up in a Christian home all my life and have always believed in God because I really had no choice. I attend a Christian school and I have attended it my whole life. But recently, some questions have come up in my life, and I was wondering if you could help me out, I have looked over your website and got some answers, but I was wanting a little bit more. First off, where did God come from? I know most Christians over look it and just think who cares, he just was. But why on earth would I believe that and not believe that the earth was created randomly by molecules and that evolution was true? Secondly, for the past 11 years I have believed in God, and that he is real. But I have never experienced him. I don't hear him talk to me like other people say they do. I talk to him, but my words seem to bounce off the ceiling and hit me in the face. If God is real, then how come he won't talk to me? How come I haven't experienced him? And lastly, If I were to die today, I'm not sure where I would go. I know I have prayed the prayer many a times, but I'm just not sure. I wish I could say I knew for sure, but I cant. I'm confused and I want to be sure, even if it's that I'm going to die and turn into nothingness. I would rather know for a fact that my fate is eternally suffering than be confused and not know at all. 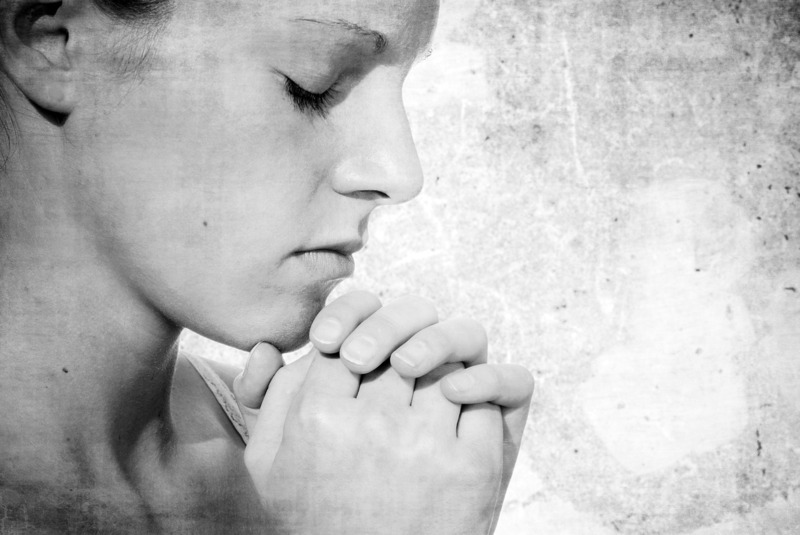 How can a prayer get me into heaven? Anyway, if you can help me in any way with any of this, even if it's telling me I'm crazy, anything would help at this point. Thanks so much for writing and opening your heart to me. I know how difficult it can be when we are starting to question all these things we've been told through our lives. I first want to start out and reassure you that asking questions and really examining what you should believe is not a bad thing. As I've said before, there are a lot of reasons people believe things, but there's only one good reason why anyone should believe something - you should only believe things that are true. With that in mind, let's look at your questions. 1. Where did God Come From? This first question is a common one that many people ask. "If I shouldn't believe that the earth happened spontaneously, then why should I believe God just existed?" However, this type of thinking is what we call a category mistake. Christians don't argue that everything that exists needs to have a creator, but only *created things* need to have a creator. The earth and all that is in it are created things - we have a beginning. People at one point in time didn't exist and the earth in one point in time didn't exist. Since they didn't exist and then they did, it stands to reason that someone or something created them. God, on the other hand, is in a different category. God has always existed - He is unchanging. He doesn't get older or wear down. The Bible even shows this when it says, "Even from everlasting to everlasting, You are God." (Psalm 90:2). Since God never began to exist, then it goes to argue that He was never created. Asking where God came from is kind of like asking where's the corner of a circle. Circles don't have corners by definition - it's a category error. If you'd like to read more about this point, please see my article "Who Created God?" at http://www.comereason.org/exst_god/exs010.asp. 2. Why Haven't I Experienced God? This question is actually a little harder, since it deals with your personal experience of God. My first question here would probably be what type of experience are you looking for? It may be that you have indeed experienced God in some way, it just may be a way that's different from what you think is a true "God moment". You mention that you don't hear God "talk" to you. Although God doesn't normally communicate with people in an audible manner (see "Does God Speak to us Audibly?" at http://www.comereason.org/theo_issues/theo085.asp for more on this), He does communicate with His children in other ways. It has been said that God's people talk to Him primarily through prayer, and God speaks to them primarily through His word. I would encourage you to pray and then spend some regular time each day in reading the Bible. Pick a book and read a chapter a day. You may find that what you read will have direct application to the things you are going through in your daily life. 3. If I Die, How Can I Be Sure If I'll Go to Heaven? This is probably the most important question you've posed in your letter, so I want to be sure and address it in a complete way. Kari, I want to let you know that God is truly concerned with your destiny. He wants you to be sure you know you're going to heaven. The Bible says that God is not willing that any should perish but that all should come to repentance. (2 Peter 3:9). You asked "How can a prayer get me into heaven?" Well, a prayer can't get you into heaven. It's a mistake to think that's what Christianity teaches, although I see many in the church who are unclear on exactly how the salvation process works. You see, God is an all-loving God, but He is also a holy God. Although He doesn't want us to perish, he also sees that we sin all the time and He can't just ignore our wrongdoing, otherwise God would be unjust. Have you ever known a parent or teacher who let one kid get away with everything while others tried to do the right things? You know immediately that this isn't the way things should be. If someone isn't doing what's right, that person should be punished for it. Since all righteousness comes from God, it isn't possible for Him to let any sin escape without punishment. And since each one of us has sinned, then each one of us deserves to be punished for our sins. It's like a judge in a court of law found each one of us guilty of breaking the law over and over - we would rightly deserve to be sentenced. In fact, the punishment for breaking God's laws is death (Rom 6:3). So, we know that we're sinners who have broken God's laws and that God, as a righteous judge, will punish us for breaking His laws. How do we escape? Because of His love for us, God not only lays out His laws for us, but He also provides us with a way to have our sins punished. That way is through His Son, Jesus. Jesus came to earth and lived a sinless life. He was then crucified, being put to death in our place, so we wouldn't suffer the same fate. Jesus' entire purpose in coming to earth was to "seek and save that which was lost" (John 9). He said that He laid down His life for his friends. 2 Corinthians 5:21 says it best: " For He made Him who knew no sin to be sin for us, that we might become the righteousness of God in Him." Let's go back to that courtroom illustration. Imagine the judge has just sentenced you guilty and you are to be whipped 40 times. Now imagine that the judge comes off the bench, lays aside his robes and surrounds you so that his back is exposed to the whip instead of yours. He then says "let the sentence begin." He met all the requirements of the law and the punishment has been applied, but he has also protected you from feeling the effects of that punishment. That is the core of the Gospel message. Jesus lived a perfect life and He took our sentence of death upon Himself, dying on the cross. Now, because Jesus came to die for us, it doesn't mean that His sacrifice is automatically applied. The Bible is clear that we must understand we're sinners and that we need Jesus' forgiveness of our sins to be saved. We must believe that He did in fact come to die for us and that God raised Him from the dead. Of course, God does not abandon us even here. Jesus' resurrection is one of the most well attested facts in ancient history! Once we understand that we are under condemnation and that our only hope is to put our trust in Jesus' sacrifice for us, God changes us. His Holy Spirit indwells us at that moment. We become new creations, children of God. So it isn't a prayer that saves us, it's understanding we are sinners who deserve to be judged, knowing there's nothing we can do to merit salvation ourselves and believing in Jesus' atoning sacrifice for our salvation. That is how we're saved. Many times this belief is expressed through a prayer that we pray to God, asking Him to forgive us of our sins on the basis of Jesus' work on the cross, but it is not the prayer itself. Now, once you truly have trusted Jesus for your salvation, there may be times where you don't "feel" like you're saved. You may question whether the whole thing "really stuck". This is not unusual, as many people wonder whether salvation should change the way they feel about things. But our faith isn't based on feelings. It's based on the fact that Jesus really did live, He really did die on a cross and He really did rise again from the dead. The fact of Jesus' resurrection is proof that He can save us. It reminds me of the story in the Bible of the lame man who called out to Jesus. Jesus told him "your sins are forgiven you". When the religious leaders complained about Jesus forgiving sins, He said, "which is easier to say 'arise and walk' or 'your sins are forgiven you'? But in order that you may know that the Son of man has the power to forgive sins on earth, I say to you arise and walk!" And the man was healed. He could walk again. Similarly, we can know that our sins are forgiven, not on the basis of our feelings, but on the fact of Jesus' resurrection. The Apostle Peter emphasized this in his letter when he wrote "we have been born anew to a living hope through the resurrection of Jesus Christ from the dead" (1 Peter 1:3). Peter here tells believers that they can have assurance that they've been born again since Jesus rose from the dead. Kari, I don't know if you have heard all this before. If you believe in Jesus and you trust Him as your savior then you can have confidence in your salvation. If you haven't yet come to a place where you personally have decided to trust Him, then I would encourage you to do so now. You asked in your question above about how God speaks to us. I told you God speaks to us through His word. He also speaks to us through his faithful servants. I know salvation is a message that God wants you to know and He wants you to be confident that once you put your faith in Jesus, you will be saved. Please let me know if this has helped answer your questions. I'll be praying for you.